This recipe will introduce you to cheese making. 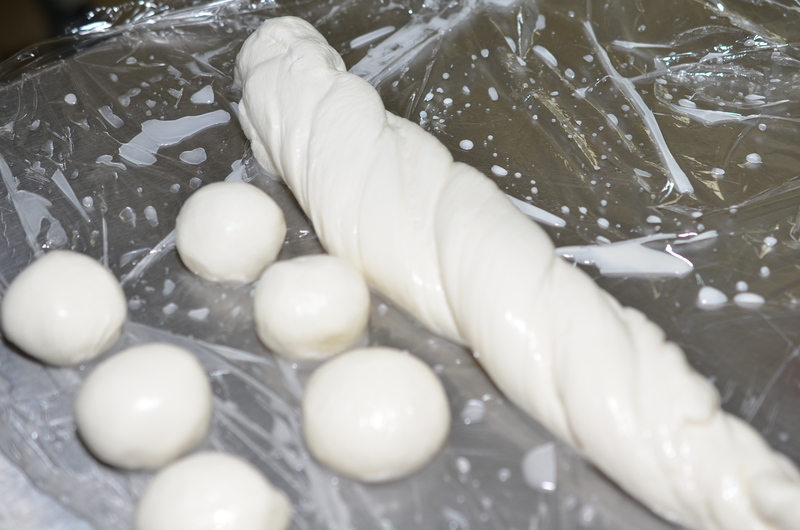 Homemade mozzarella is easy and it yields tasty results. To keep this project as simple as possible, this uses purchased curd. Restaurant supply stores have or can order fresh curd. Amazon also has several sites where curd can be purchased. While it is easy to make curd at home, this in itself is a project. I will post a recipe later tackling this. You have to devote an afternoon to making curd and forming cheese; whereas, with purchased curd, in an hour or less, you have tasty fresh mozzarella. I wrote this kitchen project as a step by step recipe with pictures. Use the link below to view. Either cut and paste it in your browser bar, or highlight and right click, then click on Go To.